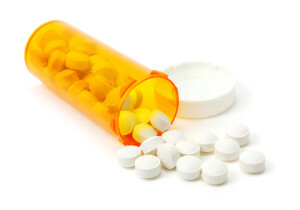 Meratol Review (UPDATED 2019): Is It Safe? Meratol Review: Is It Safe? Packaged as a powerhouse weight loss supplement that not only reduces body fat but negates fatigue, rids calories, and is even said to bring down appetite. All of this has been endorsed by a UK celebrity and apparently a doctor though there is no mention of their name or practice. A fairly unique set of attributes and reported positives are openly declared. How proven are the results and what can you expect? The answer to this is found within this article. Bauer Group DMCC has created formulas like these catered to those trying to lose weight. This European company offers a 60 day money back guarantee for new customers on all of their brands. Unfortunately they were cited by a European governing board that found claims of one of their products to be untrue. All together the ingredients are said to bring the rate of appetite down without having to make any dietary changes. This in turn reduces weight and the added ingredients help get rid of fats , calories and carbohydrates. 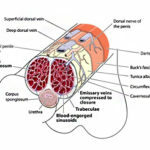 The body is jump started receiving energy and alertness. Also included is the increased metabolism furthering fat loss. There isn’t much stated beyond that as these assertions are not backed up by science instead there’s a picture of a Doctor without credentials stated. This leaves us with outside customer opinion which has an array of mixed opinions from no effects, wild unstable effects and minimal weight loss even with exercise and reduced calories. This does feature caffeine and customers have clearly reported jitteriness on multiple occasions. Fortunately positive options exist to further your goals for weight loss. Cactinea Powder: A patented extract of the cactus fruit that rids the body of water retention. Capsicum extract: Taken from the part of chili peppers that deals with spiciness. Weight loss properties are seen in chili peppers but it is unclear if the extracts are as effective. Nopal: The spanish word for cactus. It has a high amount of minerals and is low glycemic. Results as a metabolism increaser have been so far unfounded. Ascophyllum Nodosum: A brown algae used as a fertilizer. Insufficient results in terms of metabolism or energy increase. Anhydrous Caffeine: Dried caffeine that stimulates the central nervous system. Added for its ability to warm the body and provide energy. Medicago Sativa L: Known also as Alfalfa. It has a well rounded amount of vitamins and minerals. In their raw form they can be potentially toxic on humans. Potential Side Effects: Headaches, insomnia, difficulty swallowing, dehydration, nervousness, anxiety, mood swings, sweating, elevated heart rate and blood pressure, stomach related issues and tremors. 60 day guarantee is offered to first time customers. They also offer discounts when purchased in bulk. There isn’t enough information provided by the makers themselves to justify purchase. They have celebrities touting their products and a random photo of a doctor yet no clinical trials are offered. On the site there’s a bold statement that their ingredients are clinically tested yet no supporting evidence is anywhere. If there is proof of effectiveness one would assume it would be gladly offered to potential clients. It’s odd they would claim calories can be burned upwards to 278 a day, yet no reference is expressed. Such an exact number surely means there were studies done, so why not include them? Mentioned inside is that Capsicum Extract is a key ingredient yet they do not mention it on their official websites as to if being on the nutrition label. It doesn’t make sense why they would list some ingredients but fail to mention others. It leads customers to be wary and raise questions as to why certain details were glossed over. Another important problem is the $54.97 price which only lasts a month. At this high of a price and featuring ingredients that are much cheaper solo, it makes this a bad investment. Featuring one celebrity who claims to have lost weight would be a good source of inspiration had it not been for the lacking factual support for these ingredients. There’s too many unanswered questions at stake and this brand makes giant claims without providing customers basic proof. Red flags are raised at the so called statistically featured scientific numbers, yet not one shred of support is listed. 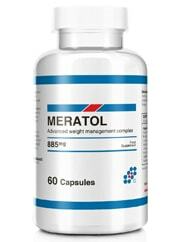 Metarol has the grand package that looks good on the outside but breaks under observation. Instead of focusing your attention on unverified gimmicks you can find more useful alternatives better suited for your self. In order to best satisfy your demands for weight loss we recommend you look elsewhere for results. Make the choice that can provide an all natural solution to practical weight loss.